Grays Point Public School is built around family, community and an emphasis on high quality for all students. Strong student welfare programs assist or support students in reaching their true potential. Staff are experienced, dedicated and well supported by the community. The school enjoys a strong reputation for academic, cultural and sporting excellence within its local community and beyond. Located in a unique bush setting in the Royal National Park, the school features beautiful playgrounds with space for students to run and play as well as tend our flourishing vegetable garden. Innovation in technology is a key feature of our academic programs focusing on high-quality literacy and numeracy programs. Our campus is wi-fi enabled in every learning space and 21st Century students have access to school ipads, interactive televisions and interactive boards in every classroom. We believe that social and emotional wellbeing are critical factors in the achievement of personal and academic success. By providing a nurturing and supportive environment we give each student the care and attention to become a successful learner and the self-confidence to thrive. Grays Point Public School is located in a unique bush setting in the Royal National Park. The school features beautiful playgrounds with space for students to run and play as well as tend our flourishing vegetable garden. Staff are experienced, dedicated and well supported by the community. The school enjoys a strong reputation for academic, cultural and sporting excellence within its local community and beyond. Innovation in technology is a key feature of our academic programs focusing on high-quality literacy and numeracy programs. Our campus is wifi enabled in every learning space and our students have access to school ipads, interactive televisions and interactive tools in every classroom. 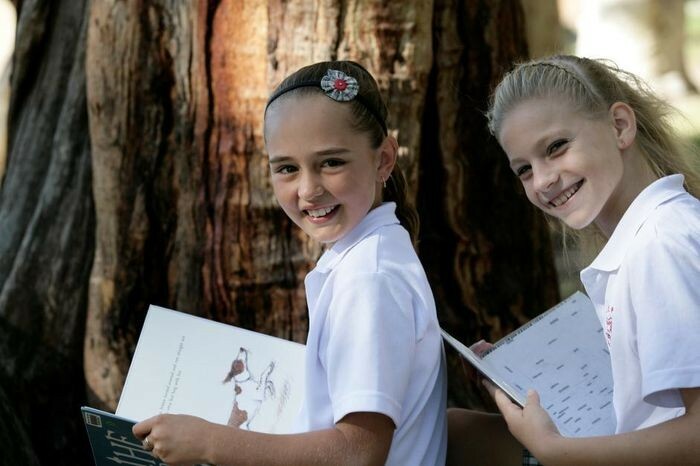 The Grays Point Public School learning community is committed to working together to develop each child to their true potential in all areas of a contemporary curriculum. Students are nurtured in a supportive, respectful and technology-rich environment and are encouraged to strive for excellence as a life-long learner. Each child is encouraged to grow academically, creatively and socially as a unique individual, proud to be themselves and respect and accept others for who they are. We aim to keep you as informed as possible. Please refer to the school information booklet attached below for daily operations and management practices.